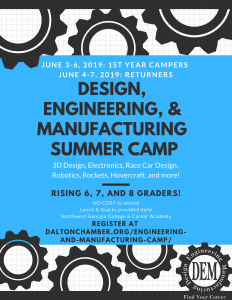 Location: Northwest Georgia College & Career Academy, 2300 Maddox Chapel Road, Dalton, GA. 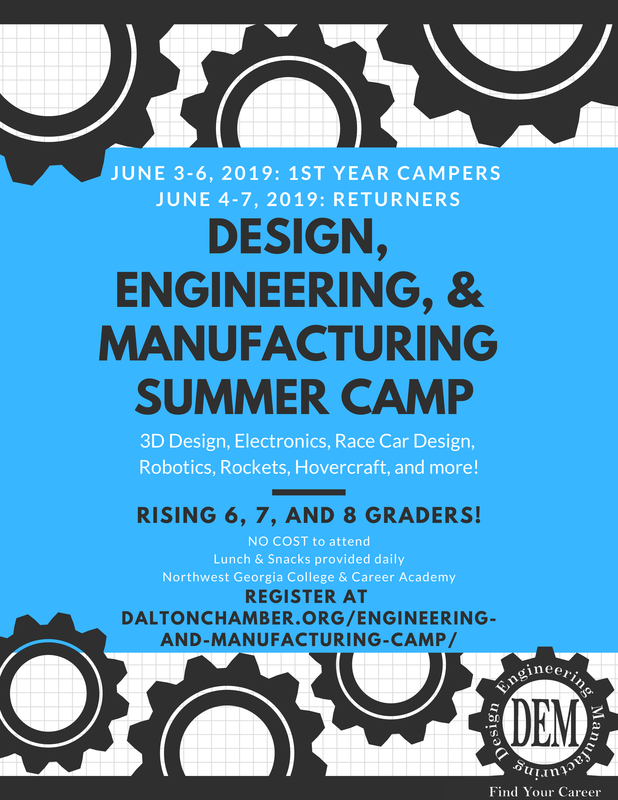 If you have questions or concerns, please contact Stephani Womack at womack@daltonchamber.org. Registration deadline is April 30, 2019, however spots are limited. Students will be enrolled in the order in which they are received.